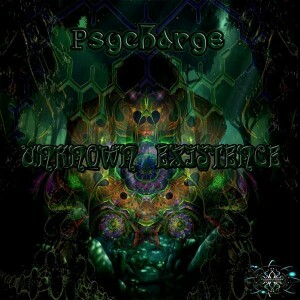 Unknown Existence is the debut solo album by Psycharge, a psytrance project from the tropical island of Singapore. This release on Plasmasphere Productions will take you on a mystical journey into the deepest and darkest corner of the woods to co-exist with the forest spirits and creatures in harmony. and poetry by Mystical Voyager. MP3 Download | FLAC Download | WAV Download · Download count: 5,893. O som é bem potente e sustenta uma pegada bem atmosférica…parabéns ao artista! The collaboration with Witch Freak is great as I would expect, but I like all the tracks on here. Hope to hear more from him in the future. Well done, bro! Keep it up… Hoping to hear more of your organic sounds! Boom to you and your music! Miss the singapore psy crew!